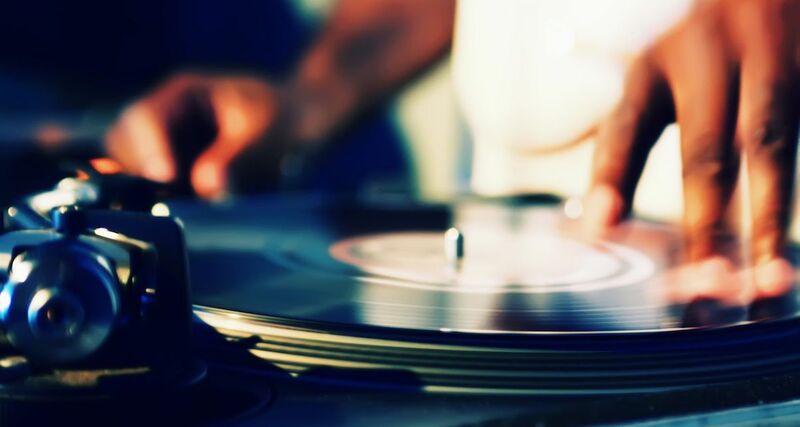 Picking the right DJ turntables for your needs is a difficult task. This entry-level guide will help you make the correct decision. 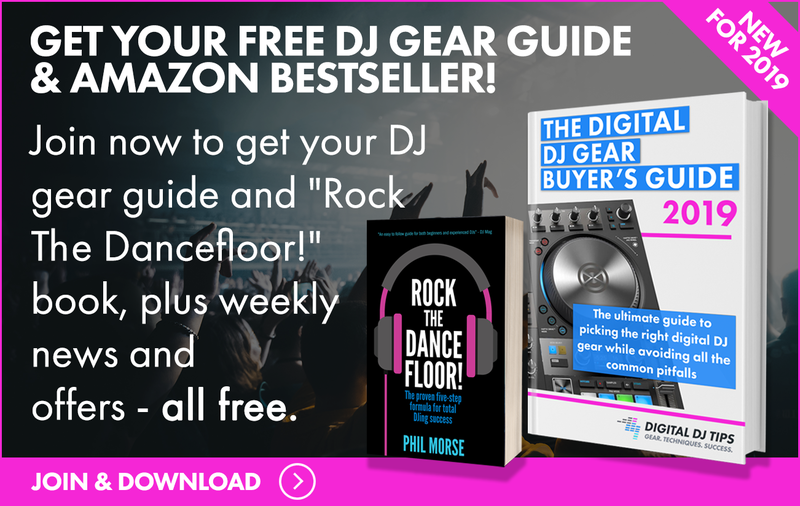 Picking the right DJ turntables for your needs can be a difficult task. This entry-level guide will help you make the correct decision. There are many reasons why you might want to invest in turntables. 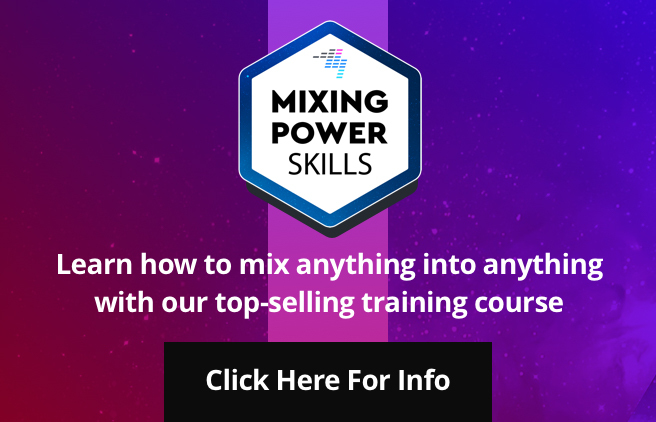 Perhaps you have found some old records and want to rip them to a digital format (in which case, you would only be looking for one), or are looking into setting yourself up with DVS, or want to dig out some old vinyl and get spinning again? Whether you’re just starting out or you’re a returning experienced DJ, picking a pair of new turntables can be a difficult task. We don’t want you to shell out on something you don’t need (eg useless-for-DJing belt-drive decks). We want you to get the best bang for your buck. In this roundup, we have listed our top five entry-level direct-drive DJ turntables for you to consider (in no particular order). 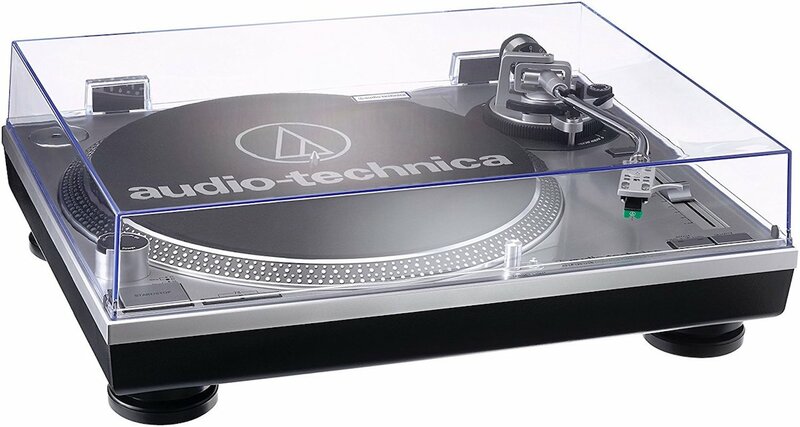 The Audio Technica AT-LP120-USB is a solid deck for home and semi-pro use. Its familiar design comes in familiar colours, black and grey. The Audio Technica AT-LP120-USB has been around for a good five years now and remains a popular choice for beginners wanting a solid deck with a familiar design. It has a decent motor and the added USB output makes ripping your old vinyls to MP3 a simpler task. If it’s the vinyl-ripping capability that you are mainly after, this deck wouldn’t look out of place alongside your lounge sound system as well. It also comes in black and grey, always nice to have a bit of choice. Pros: Looks the part and has good sound and build quality, certainly suitable for semi-pro use. Comes with a lid (unhinged) to keep pesky dust at bay. It’s internally grounded, so there are less straggly wires around. Cons: Not many, although there have been some reliability issues regarding the platter and anti-skate listed online. 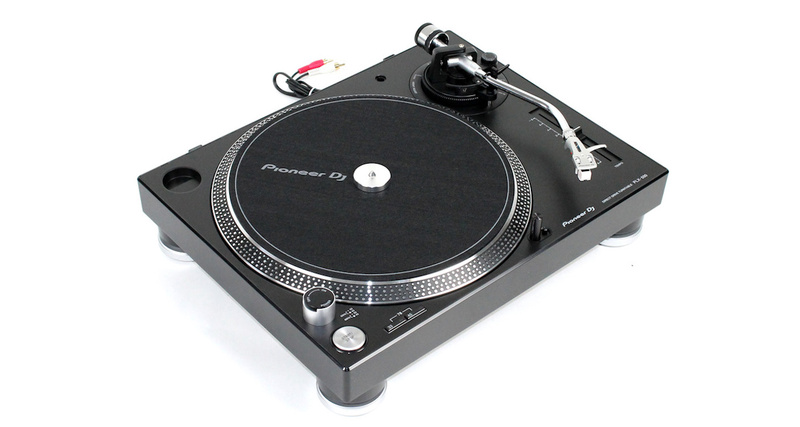 The Reloop RP2000 M is a good shout for home use and has the traditional look of a Technics 1200 deck. It does lack a little in the torque department though. The Reloop RP2000 M is a good option for home practice, with its design paying homage to Technics 1200s. It does, however, lack USB functionality for ripping. This is available for an extra US$100 on the “USB” version of this deck but there are cheaper ways to find a workaround than that. Its black metallic finish and heavy construction do give this deck a professional feel. Unfortunately, it does let itself down in the torque department (as lots of entry-level decks do). This means that the platter easily slows down when touched and then takes a little too long to speed up when released. This will make it a little tricky to mix on but it’s worth remembering that some of the best ever DJs started on a lot less. Pros: Nice design and does exactly what it says on the tin. Cons: Torque isn’t great, meaning that the platter speeds up more slowly and a light touch on the platter is enough to stop it turning. Therefore, it lacks the feel of a pro turntable. 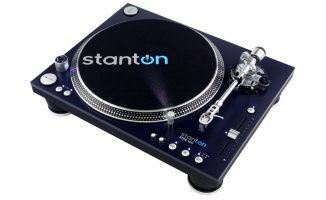 The Stanton T.62 M2 is the cheapest turntable on this list but it still brings a lot of useful features to the party. The T.62 M2 is a great choice if you’re looking to get into (or back into) DJing. 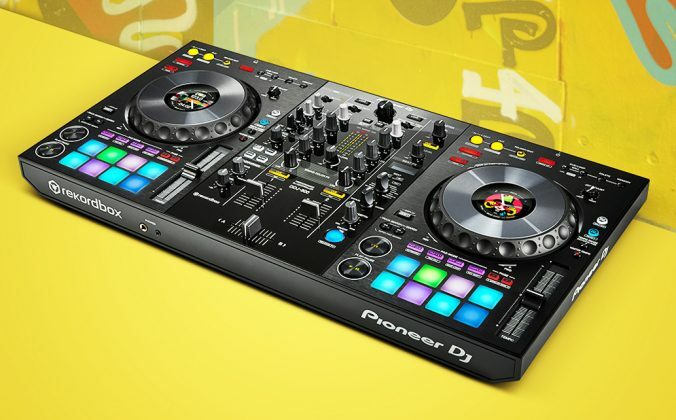 It comes with everything you need to “plug and play” and has plenty of torque, a feature sure to please even the most experienced scratch DJs. The straight tonearm boasts better tracking for scratching too. 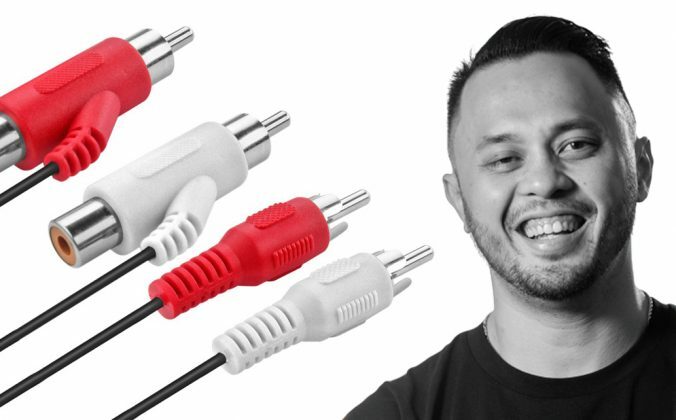 It has a solid build and is ideal for a budget home set-up or as a stop-gap before you can afford something more powerful. I borrowed a pair of these from a mate one Christmas when I was away from my decks and they served me well. Pros: For what you get, this turntable is very cheap. 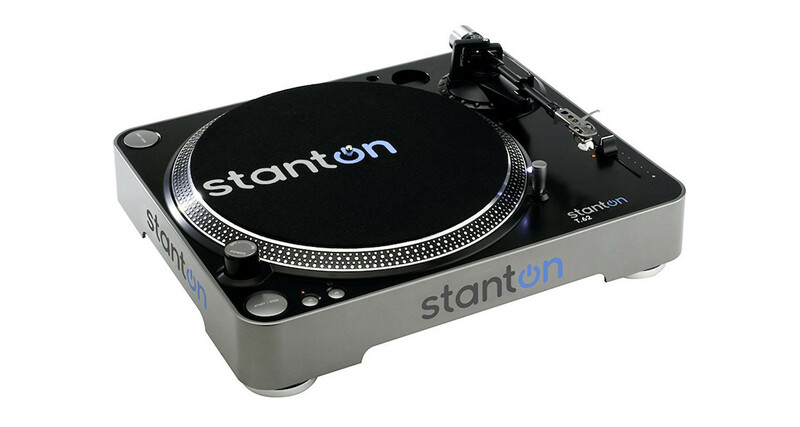 The T.62 M2 is a powerful turntable and comes with a Stanton 300.v3 cartridge, so you can use it right out of the box. Cons: At this price point, it is difficult to pick holes but the slipmat that comes with the deck is pretty poor and will need replacing from the off. The Pioneer PLX-500 is the company’s “budget” turntable, a reliable option for amateurs and semi-pros. As far as entry-level turntables go, the Pioneer PLX-500 is in the mid-high price range. It inherits the layout of the Pioneer PLX-1000 professional turntable but without any bells and whistles, coming in at a little less than half the price. Even so, I would have expected a more powerful motor inside. Everything is laid out as you would expect it to be and it comes with USB functionality for the easy ripping of vinyl. The PLX-500 feels solid for a deck with an all-plastic enclosure, and the sound quality is decent. This is down to the way it has been damped with sound deadening materials. This means it’s heavy as well, which gives it a more professional feel than some of the other turntables on this list. 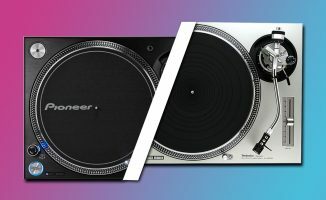 Pros: As can be expected from Pioneer DJ gear, this is a solid turntable, suitable for use at home or in a small bar set-up. Cons: From experience of playing out on this deck, the platter can slow easily with even light pressure. This takes some getting used to but isn’t the end of the world. 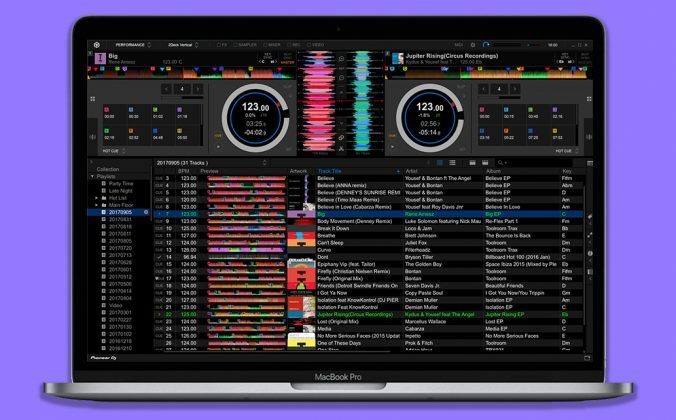 The Numark TT250 USB is a functional deck and good starting point for beginner DJs or those who have vinyl to rip to MP3. 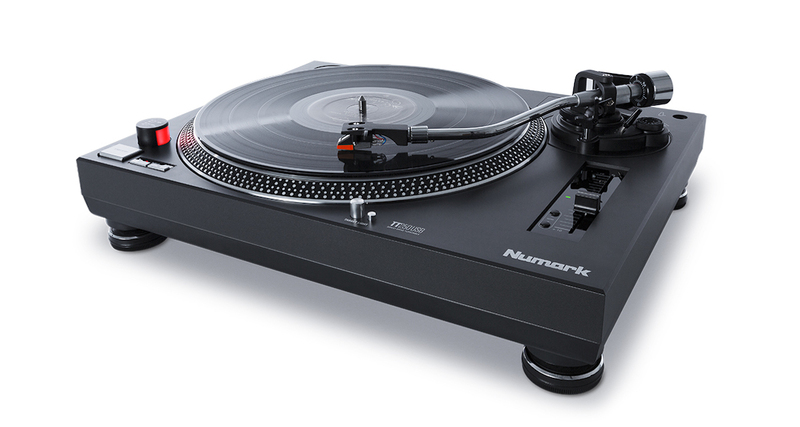 The Numark TT250 USB is a traditional looking turntable with a die-cast aluminium platter and an extended pitch slider (+/-10%). It looks the part but it is certainly more suited to home use. This is mainly because it lacks the torque of more expensive decks. 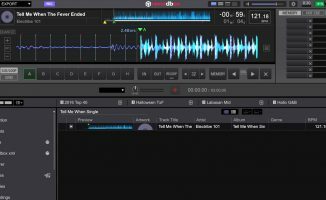 It is also quite lightweight, and for this reason is only a good option for home practice and for using its USB out to digitise your vinyl collection. 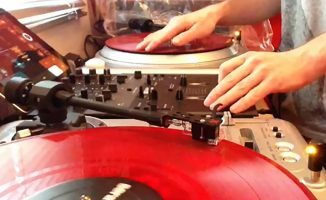 Pros: A decent deck for a home practice set-up or for ripping vinyl. Can be used straight out of the box and the included hinged dust cover is always welcome. Cons: Low torque and the supplied cartridge will need replacing as it is flimsy. This turntable is not very well constructed, ruling out advanced scratching or professional club use. The old classic Technics SL-1210 MK2: More expensive but worth the investment in the long run. 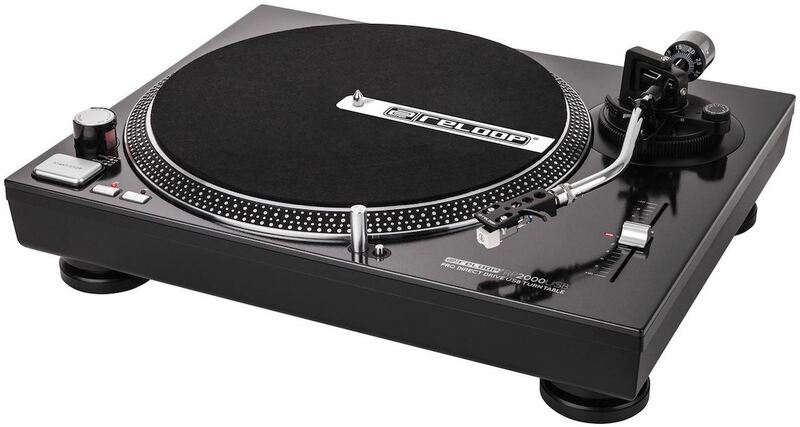 If you have managed to save up a bit of cash and are looking to pull the trigger on a pair of turntables but are worried about how long they will last for, look no further than the Technics SL 1200 range. Technics are found in club booths worldwide for a reason. These decks were built to last and are commonly found on sites like eBay and Craigslist. However, how can you be sure that they are in full working condition and that you aren’t going to be ripped off? I had exactly the same fear when I bought mine. I saved and did a bit of research and understood that I had two choices. The first was to buy a set of turntables, hope for the best and then have them fixed if anything was awry. 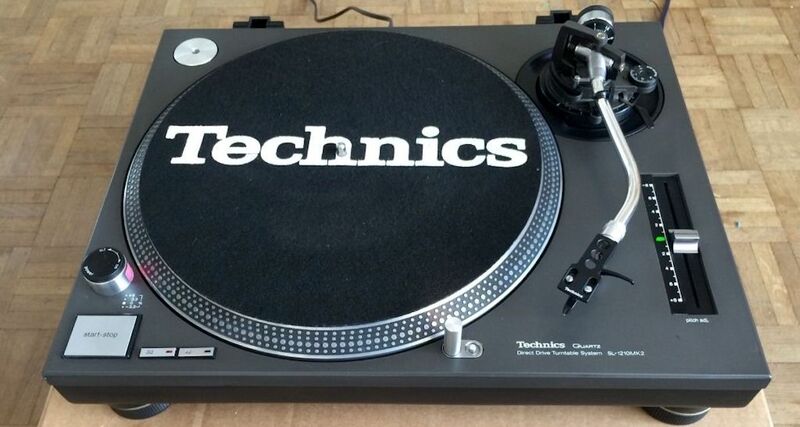 The second, to spend a little extra and buy a set of Technics from an experienced refurbisher. I plumped for the second option because they came with a six-month guarantee, should anything go wrong. I have had mine for four years now and they have travelled to Russia and back twice on a plane and still work perfectly fine. 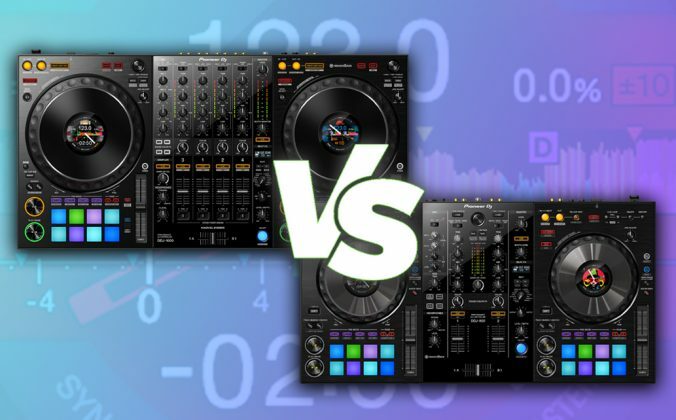 It can be difficult to tell entry-level DJ turntables apart from each other as most of them look similar. Overall, they pretty much offer the same features too, USB functionality being the main addition over the past few years. The key things to be aware of when picking your turntables are their torque and sound isolation properties. These are the only things that drastically improve as you move up into the professional turntables bracket. I hardly think that the AT 1240 is an entry level turntable …maybe the your confused with the AT-LP120? If your going to put the 1240 in this you can add the Stanton ST.150, Pioneer PLX-1000, Mixars LTA and Reloop RP-7000 because they all use the same tonearm and Hanpin Motor. 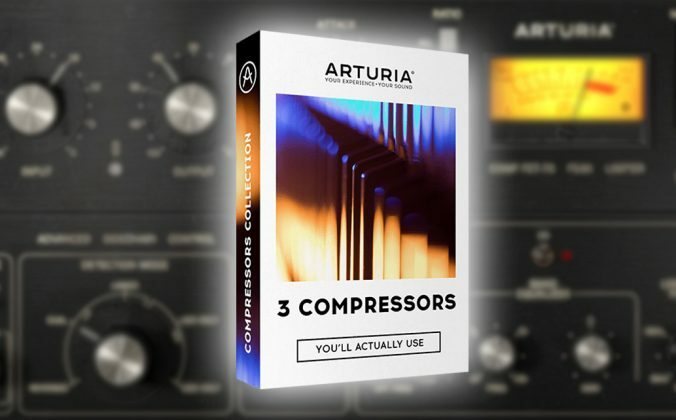 They rest you’ve mention fit the bill and you can add the Roland 909 hot mess they have released. I can only hope the the Numark NTX has a bit of the Denon VL12 technology. Cheers! Spot on, thanks very much for pointing that out. I have edited the article accordingly, my bad! Great idea, Francisco… thanks for asking. We’ll see what we can do. Hey, I have an Audio Technica AT – LP 120 turntable. It does come with a cartridge, you write that it doesn’t. Apologies, Kabrina, I forgot to edit that out after a previous change. Thanks for letting us know. Personally sold my old CDJ 800s and bought one PLX-500. Best decision I’ve ever made and hoping to get my second soon! Would absolutely recommend as a first turntable choice. Currently using DVS whilst my actually record collection builds up. Love the “feel” and also the satisfaction from mixing on turntables. Its different to the other platforms, not for everyone but definitely worth a try. Plus if you’re into the minimal house scene so much is vinyl only releases at the moment. Good man! Thanks for sharing, hope you can get the second soon and get spinning your vinyl 🙂 You’re right about the scene, which labels are you into? So what would you say is the closest to the feel of the technics? Also which of these would be best for beat mixing vinyl? I used 1200’s back in the day, but don’t have 1200 money at the moment. Looking for the best/lower priced option. Ditched my controller for Stanton T62 m2 ‘s best thing I ever dun . Pulling tunes off the lap top just not the same as playing with vinyl in my opinion. Just couldn’t use the controller properly had it a year then switched . Picking the decks up much better and quicker . Think it just depends on the individual, MP3 is cheaper alternative but there’s no school like old school for me so saveing up for sum 1210 s as there even easier to use for me cheers .